Archaeology | Colorado Mesa Univ. CMU has two programs in archaeology. The first is a standard minor in which students are given instruction in archaeological methods, world prehistory, North American archaeology and the archaeology of the American Southwest. The second is a new Professional Certificate in Cultural Resource Management, which trains students in all of the practical aspects (field methods, laboratory analyses, legal considerations, etc.) of archaeological research done on public lands and/or in advance of development projects. There's never been a better time to discover archaeology at CMU. Our programs have seen tremendous growth in the last two years and there is no sign of abating. Research partnerships with the Bureau of Land Management, the National Park Service and the Museum of Western Colorado are in place, we have been invited to investigate sites on private land around Grand Junction, and our students are beginning to present the fruits of their work at CMU’s annual Student Showcase. 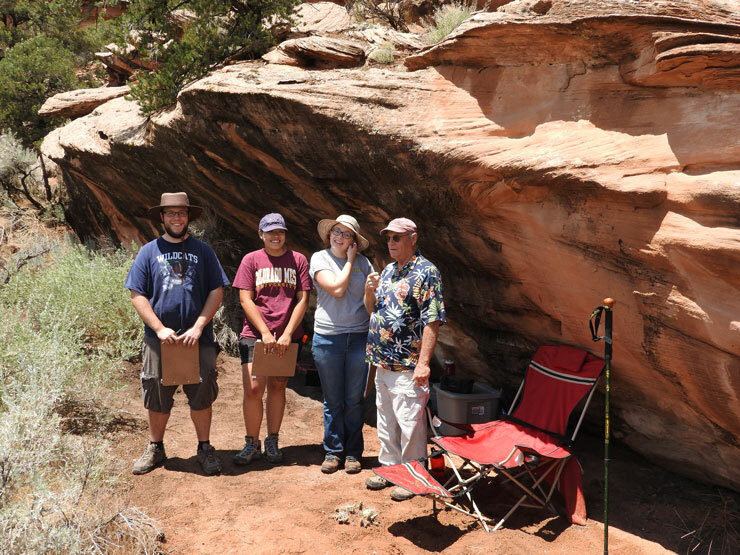 In the summer of 2016 we held CMU’s first archaeological field school in 35 years! Indeed, we are now poised to make an even bigger splash in the community. As the Grand Junction Regional Center shuts its doors, the archaeology program will bring attention to the earliest history of the facility, namely, that of the Grand Junction Indian School (Teller Institute). This institution, which ran from 1886-1911, was one of the country’s 29 off-reservation boarding schools tasked with educating and assimilating Native American youth into Euro-American culture. Only four buildings from this era stand on the Regional Center campus today, however, the archaeological remnants of dorms, privies, shops and other facilities are sure to remain where they have laid for the past 115 years. Most poignantly, the Institute maintained a small cemetery for those Indian children who died while at school. As part of a multi-year archaeological project on the grounds, we hope to locate the interments so the Indian youth can be properly honored according to the wishes of their surviving family members. The overarching goals of our archaeological research at the Indian School is to understand the conditions of life at the facility, for its Indian pupils as well as white employees, and to discern how the school fit in to the economy and social life of a very young Grand Junction. Finally, we will use archaeology to evoke how the school fits into the oral histories of Grand Junction residents and among the descendants of the Native Nations represented at the facility. Contact Dr. John Seebach for more information on CMU's exciting archaeology programs!